Australia is a big country with stunning landscape and the best way to explore it is by hiring a camper van. With VW Campervan hire in Australia you can combine your transport and accommodation in one, so that you can see Australia the way it should be seen. 1. 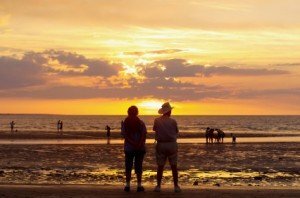 Australian Tradition: Having at least one road trip holiday is a tradition of Australians and most of them have a story to share about it. So, now it is your turn to give your family a memorable holiday with camper van hire Australia. The campervan has all the amenities you need to explore; you can live, eat, sleep, drive and bunk in it. 2. Save Money: When you take a flight or a train, there are so many things to spend money on like flight tickets, car rentals, hotels, and restaurant meals. All camper vans and motorhomes are equipped with good catering facilities, this helps you to prepare home cooked meals for your family. Cooking on your holidays not only helps you to save money by preparing your meals, your family will become much closer together. Why should you pay for hotel accommodation and food when you can spend the money for buying a memento? 3. The Fun Starts Now: The holiday fun and adventure starts the minute you hit the road. The kids will love the traveling cubby house. You can unpack your bags and store your belongings safely in the camper van and there is no need to pack and unpack at every destination. 4. Travel At Your Own Pace: Forget about the restrictions of moving according to your reserved tickets and move freely from one place to another at your own convenience. You have the liberty to enjoy spending more time at the place you love. You are more in control of some things like when you travel, where you travel and with whom you travel. There is no need to follow the set itinerary of a group tour. 5. Enjoy the Country in a Different Way: The food and tiny seats of an airplane is not the place to be with little children. If you are taking your little ones, then you will have to stop wherever and whenever you want. 6. Have Fun With Your Family: Sing and play with your kids as you travel. Camper van hire Australia provides you the space to have quality time with your family. 7. Good Memories: A road trip gives you one of the most memorable holidays and sure your kids will agree with this. You can enjoy good views from your window and this will be different every day and you can immerse yourself in the lovely local landscape. 8. 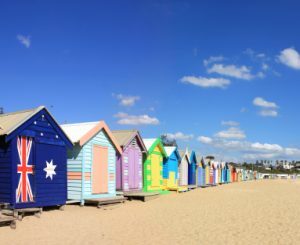 Getting Off the Beaten Track: Campervan hire Australia is a fantastic way to experience some of the undiscovered areas in a city or town. Get off the beaten track and experience the wilderness. 9. Enjoy With Friends and Family: There are affordable 2, 4 and 6 berth camper van rentals and you can take your whole family or invite friends to share the adventure with you. 10. 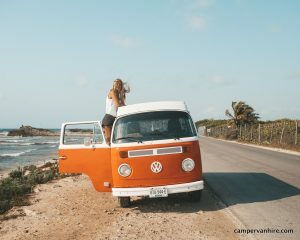 Your Luggage Goes with You: The most important thing about hiring a camper van for your holidays is, your luggage goes with you and there is no need to worry about delayed or lost baggage. Motorhome hire in Australia offers ideal vehicles for hire, so you can discover the unexplored landscape. Campervans are equipped with up-to-date safety features and it is wise to familiarize yourself with the procedures for using them. Camper Van Hire Australia – The best holiday you can have Book one Today!